For a story about surfing, “Breath” pulls off a rather incredible sleight of hand. The directorial debut of “The Mentalist” star Simon Baker tells a pointed story of obsession and addiction and does so with such laid-back composure that you can conceivably feel as if you are watching a wholly different film. A period-set coming-of-age drama that deals with many of the difficult realities of growing up, there’s an emotive version of this story that would crest and crash with the waves; instead Baker opts to tell it with the untroubled hush of a whisper. 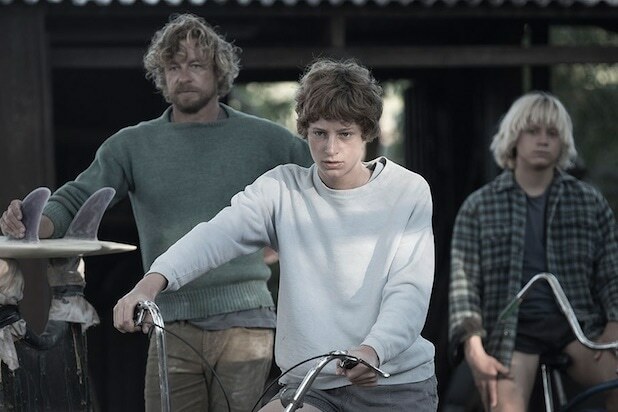 Set on the Western Australia coast sometime during the mid-1970s, “Breath” follows two 13-year-old boys as they discover what it takes to be a surfer and what it means to be a man — in that order. Pikelet (Samson Coulter) has a relatively stable home life, which is not the case with his friend Loonie (Ben Spence). But no matter, when the two fledgling surfers hit the beach, every other detail just melts away. In the water, there is nothing but the board, the tide and the lived experience of the moment — which is exactly why they come back day after day. Soon they meet Sando (Baker himself), an aging pro-surfer too old to play competitively but with all of the passion still there. He becomes their self-proclaimed guru, pushing them to climb higher waves and confront larger fears. Waiting at home is Sando’s American wife Eva (Elizabeth Debicki), a former pro-skier with a knee so banged up she’ll never hit the slopes again, who treats the snowless Indian Ocean coast as a kind of sun-kissed purgatory. Make no mistake: All four characters are addicts, hooked on that initial rush of euphoria that came with their first-ever ride. For Sando, that was already decades behind him; for Eva, unable to ever ski again, it means chasing danger via other means. Baker never overemphasizes the characters’ grimmer psychological dimensions, nor does he awe in rapturous shots of nature. The film has a kind of workmanlike quaintness to it, offering a number of surfing and underwater sequences that are both terrifically accomplished and so modest as to not call attention to just how well-made they really are. Though the story moves into legally dubious territory during its third act, Baker continues to treat it with surfer’s cool remove. If that approach can sometimes muddle what ought to be stronger narrative payoffs, it nevertheless keeps “Breath” a beguilingly appealing moviegoing experience. Like the ocean itself, there’s a hell of a lot going on underneath. But sometimes it can be entrancing enough to just watch the tide. Through the years, Philip Roth has won wide acclaim for his novels -- but had a rockier time seeing his work adapted by Hollywood. But Roth, who died Tuesday at age 85, leaves a remarkable storytelling legacy. Ewan McGregor directs and stars in this adaptation of the 1997 novel about a successful Jewish American businessman whose daughter becomes an anti-Vietnam revolutionary. Anthony Hopkins plays a disgraced college dean with a secret past who romances a younger woman (Nicole Kidman) with her own mysterious history in an adaptation of Roth's 2000 novel. Richard Benjamin starred in a version of Roth's 1969 novel about "a lust-ridden, mother-addicted young Jewish bachelor." Al Pacino plays an addled actor who has an affair with a lesbian in a story based on Roth's 2009 novel. 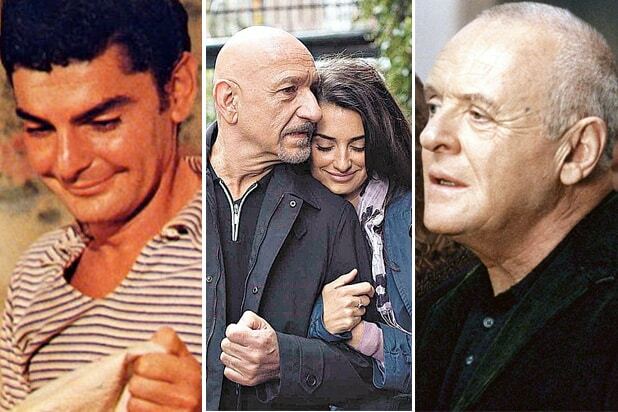 Based on the 2001 novella "The Dying Animal," the film centers on a professor (Ben Kingsley) who embarks on a relationship with a much younger Cuban woman (Penélope Cruz). Logan Lerman plays a principled young Jewish man from New Jersey who struggles with his principles at a small Ohio college in the 1950s. Based on a 2008 novel. Roth's breakout 1959 book was also the first to win favor in Hollywood, with Richard Benjamin and Ali McGraw playing a young couple in a doomed romance despite their shared Jewish upbringing. Arnold Schulman won an Oscar nomination for his adaptation.